Learn to read Hebrew! 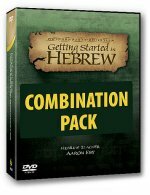 Getting Started in Hebrew DVDs and companion workbook (purchase separately) make it easy. Learn Hebrew from a messianic teacher. Draw ever nearer to the Jewish Messiah as you learn "Hebrew Roots" and Hebrew root words at the same time. After only twelve lessons you will be able to sound out any Hebrew text and move into additional Hebrew resources to begin building your vocabulary and competence. Learn how to pronounce and transcribe Hebrew words. Learn about ancient Jewish writings that illustrate biblical concepts through the Hebrew alphabet. Learn Hebrew names and titles of Yeshua the Messiah. Reinforce what you have learned with exercises and quizzes. 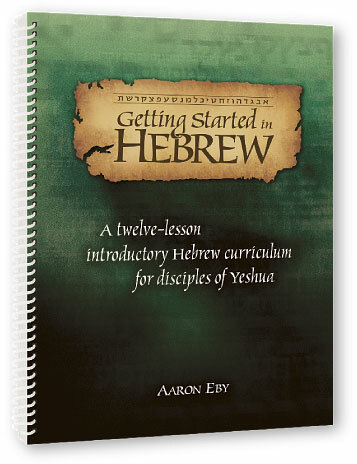 Through 12 lessons on 6 DVDs, Hebrew teacher Aaron Eby takes the student through each lesson in the workbook. The 12-lesson DVD set is required to give the student the maximum learning experience. 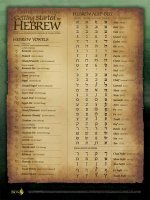 Learn to read Hebrew! 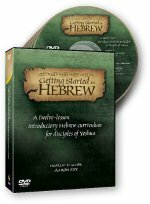 Getting Started in Hebrew DVDs and companion workbook (purchase separately) will teach you in 12 easy lessons to pronounce and write any Hebrew text, and move into additional Hebrew resources to begin building your vocabulary and competence. This 12" x 18" wall chart gives the Getting Started in Hebrew student an accessible reference tool for the details of the letters and vowels. Includes a large discount on the individual resources included in the pack, valued at $140.50. 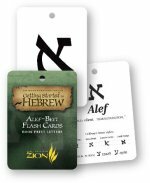 Jump start your Hebrew language training with a combination pack, including a 12 lesson instructional DVD, workbook, wall chart and flash cards. Learn how to pronounce and transcribe Hebrew words, plus learn about ancient Jewish writings that illustrate biblical concepts... and more.